2017 was filled with challenges — both ones we had been expecting for a long time, and ones that took us by surprise. It was filled with trials and uncertainty, with waiting and praying. It consisted of more big decisions, more complications, and more experiences that required us being way outside our comfort zone. It put us in circumstances where we realized that we were truly unable to take care of everything ourselves, and forced us to place all our trust in God and His plan. And all of this resulted in a year with much more growth and learning than years passed. We celebrated the holidays and rang in the new year in our home in Ballston Spa, New York. Curtis’ work schedule didn’t allow for traveling over the holidays, but we made up for that by taking a weekend in January to escape reality and go hiking in the Catskills. This vacation felt very well-deserved, because after a few months of classroom work, Curtis had just begun a new schedule in his training with the Navy. This consisted of 12 hour days on rotating shifts over 7-day work weeks. Curtis worked hard and did his best to progress quickly through the program, but the overall environment there was very negative. If you know anything about Curtis, you know he has many hobbies and interests, but being at work for 12 hours and going between day and night shifts took away time and energy to pursue those things. When he wasn’t at work, you could find us cuddling together on the futon, trying to stay warm in our uncomfortably cold house. I feel like this is the first season in our married life that I would say was uneventful, where we actually slowed down and did nothing. Of course that had a lot to do with Curtis’ heavy schedule, but it was also because this was our first real winter as a married couple. We went into it with high expectations of staying active and enjoying the same hobbies we did the rest of the year, but we soon realized the extra challenges that came with the season: the days were shorter, the weather on our days off was unpredictable, and it’s always colder up in the mountains. I also struggled with aching and swollen joints, as my arthritis flared up for the first time since 2011, before starting massage school. Things weren’t all bad though, and we did our best to enjoy the time we had together. We did get out for some snowshoeing on more temperate days, and those created fond memories to hold onto for all the days we spent indoors. Curtis’ schedule also had a 4-day weekend built in every 5 weeks, and we took advantage of each one to go explore a new area. In February we visited the Finger Lakes region of New York where we explored many state parks and saw gorgeous frozen waterfalls. In March, we gave in to the desire to go somewhere warmer, and took a longer drive to the Mason-Dixon Line and spent a weekend touring historical sites. When things started to thaw in the Adirondacks in April, we celebrated with our first camping trip of the year. And finally, after months of waiting, Curtis finally received orders for the next steps in his career: after completing 10 weeks of training in Connecticut over the summer, he would be stationed on a boat at our first choice of base: Washington state! This year, we learned to truly appreciate both the changing seasons in the weather and in life. Just as Curtis’ intense training schedule was ending, things were warming up and we were able to spend a lot more time doing what we love: enjoying nature together. He finished his training the first week of May, and we celebrated by hiking almost 40 miles in our first week of freedom. We also were able to accomplish our goal of completing the New York Fire Tower Challenge! This was a big deal for us, because not only was it our first hiking challenge finished, but it also felt like the perfect way to wrap up our time of living in New York. Moving here had been one of the most exciting things that led to many other doors opening, and while it came with challenges, we had made it through and felt we were ready for our next adventure. Returning from that hike and what would be our last camping trip in the Adirondacks, we were feeling on top of the world. We were grateful and excited for the future. When we made it home, Curtis received the phone call that changed everything. A Navy detailer informed him they were giving him an order modification. At first, it was still just going to be in Washington, but he called back shortly after with different news: they wanted to send us to Hawaii. This news took us completely by surprise, and sent us into a frenzy of emotions. At first it seemed like a joke, but very quickly it became a very complicated reality. 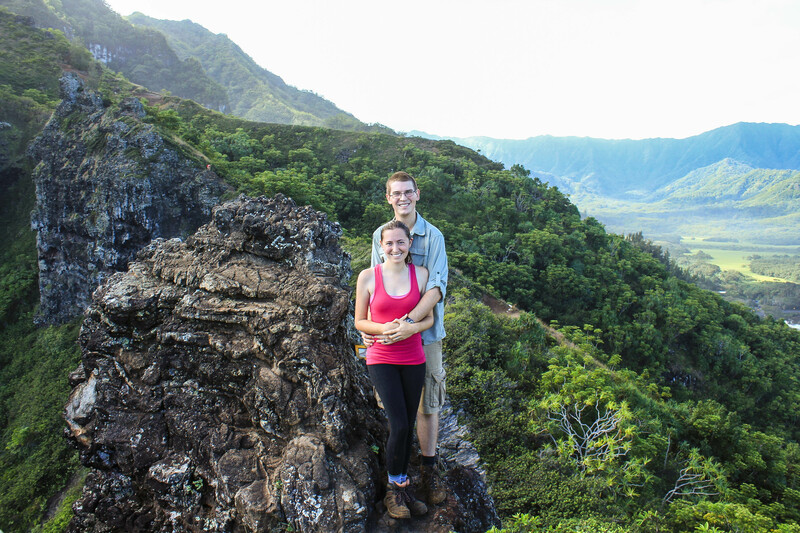 We had no choice, we had to change all of our plans and prepare quickly for moving to Hawaii. Before the orders were changed, we had planned for a 2 week vacation to visit our families in Michigan and Iowa before moving to Connecticut. At first, it seemed like poor timing considering all the things we now had to do, but it ended up being the best thing we could have done during that time. It was so good to be reunited with our families after our longest time away, to talk everything over and be comforted by the familiarity of home. We were able to reconnect with all our grandparents and many friends, and celebrate both of my brother’s graduations from high school and college. Our last weeks in New York were spent waiting for the orders to officially arrive, and trying our best to plan for the future. Never before had we felt so helpless, unable to take control of the move and have things done our way. As discouraging as everything was, there was no denying that the hand of God was present in every aspect. We have always believed that He is the one that works through the Navy and sends us where He wants us to be, so we chose to trust that He had big plans for us in Hawaii. Curtis finally received his orders just days before he was supposed to report in Connecticut. We packed our car with everything we’d need until we moved to Hawaii, and made the short drive down to our new home for the summer: the Red Roof Inn in New London, CT. 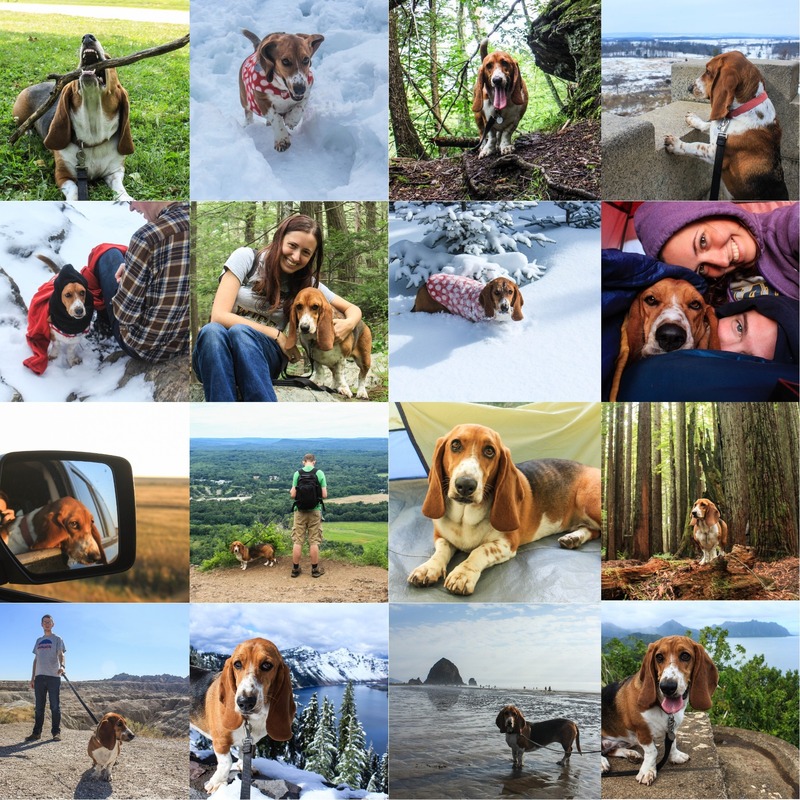 The highlight of our year was undoubtedly our cross-country road trip, driving from Connecticut to Oregon before flying to Hawaii! While we had to give up a lot of our desires with the change of orders, one thing we did get to do was take a month to enjoy one last drive across the mainland before moving to an island. 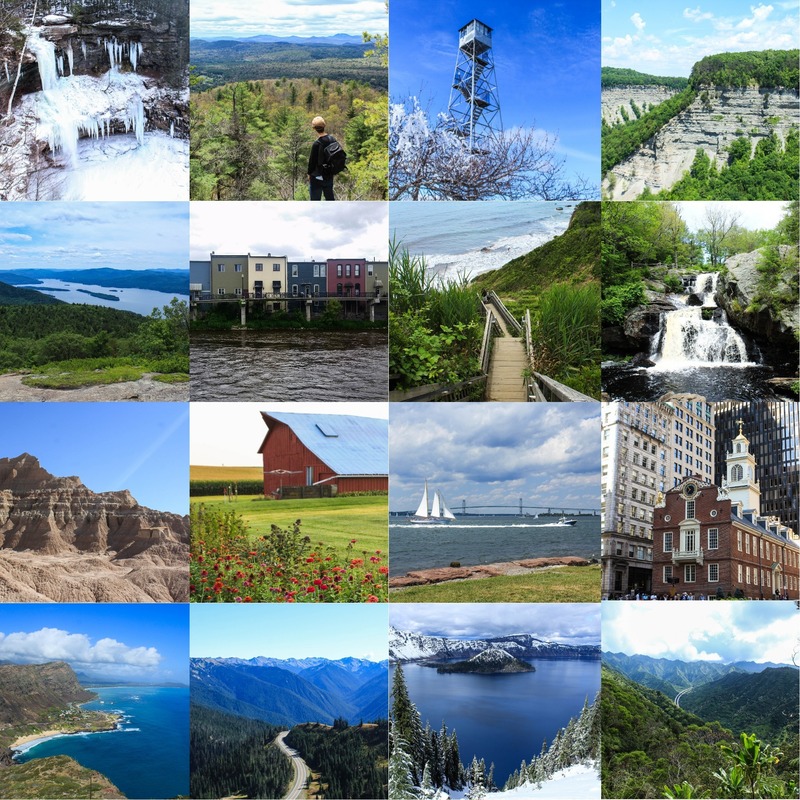 This trip had everything we loved: visits to both of our families, camping in the middle of nowhere, days full of driving, national park sites, Whispering Giant statues, eating Taco Johns, hiking to state high points, visiting attractions we’d wanted to see for years, and finding hidden gems that are now some of our favorite places we’ve ever been. It was the perfect way to close out one chapter of our lives, Curtis’ nuclear training, and begin the next: being stationed on his first submarine. 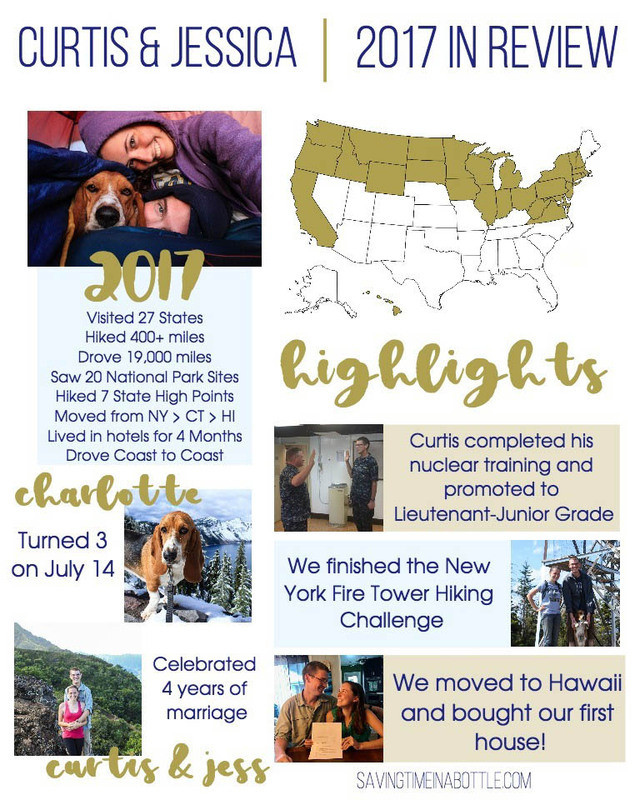 On September 20, Curtis flew out to Hawaii to check in at his new command, and Charlotte and I joined him a week later. We met our wonderful realtor, Jill, and commenced our housing search immediately. After just 4 days of searching, we found the perfect home for us, placed an offer, and it was accepted! We had been planning and saving our entire marriage for this event and were so excited to have a place of our own. However, the escrow process still stood in the way of being homeowners, and those days dragged on as we were once again living in a hotel. Curtis’ work schedule once again became more intense, as it will be for the next few years of his career, but we did our best to enjoy our nights and weekends together. And we were so happy when the day finally came, when we were able to sign the papers and become homeowners! In November, Curtis had his first short ride underway, finally doing what he signed up to do. The good news is he didn’t hate it! While there have been hard days, and there will be many more ahead, he does enjoy learning and progressing, and becoming more qualified as an officer. He also promoted to Lieutenant Junior Grade in September! We’ve enjoyed getting to know his shipmates and the other families with the boat, and are learning more about what to expect in this new season of our lives. For me personally, I feel like I’ve grown more this year than I have in years past. There were many times that I was put outside my comfort zone, and had to handle situations all on my own. I had to handle moving out of our house in New York on my own. I did a lot of the researching and managing details of the move to Hawaii, including getting Charlotte through the quarantine process. Then, when she was still in her quarantine period and couldn’t travel to Hawaii when Curtis needed to be there, I went on my first road trip alone, driving all over Western Oregon. I took initiative with the whole house buying process, and with the help of our realtor found our home and handled the escrow process alone while Curtis was gone. If I had known last year at this time all the big things I’d have to handle alone, I’m sure I would have been overwhelmed. But by the grace of God alone, I made it through each trial, each drive alone, every intimidating phone call to strangers. The truth is, if I had to go through similar things next year, I’m sure I’d still be stressed, but I’m leaving this year with more trust and dependance on God, and plenty of experiences to prove His faithfulness. So now the big question remains: are we glad we ended up in Hawaii? Well, I’d be lying if I said I didn’t sometimes think about what could have been, but we have become good at being thankful for the here and now, and enjoying where we are. Thankfully, Hawaii is warm and gorgeous and makes it easy for us to enjoy! We have loved all the different hikes we’ve done, we’ve driven to every side of the island, and we enjoy going to the beach at least once a week. We absolutely love our new home, and already feel settled and excited to actually live here for around 3 years, the longest we’ve ever lived anywhere together! We wasted no time in starting a garden, and are looking forward to making this place our own. Charlotte seems to know that this is her home now, and enjoys chasing lizards and going to the beach. When we look back at the year, we can see how God is sovereign, His plan is always perfect, and that all we need to do is listen and trust. And when we put things into perspective with all the hurt and sadness there is in the world, our problems seem so small in comparison. May we never be so caught up in our trials that we fail to realize that! Looking ahead at the new year is different than the past years have been: If all goes according to plan, Lord willing, we will still be living in the same place. Our hope and prayer for this year is that we will really be able to settle down, develop new relationships, and be content with staying in one place. We hope that not moving around will help us to learn and discover new things about ourselves, and about what direction we should be going in when all this is over. And while there will be plenty of challenges and times of separation this year, we know that all is in God’s hands and all we need to do is trust. Sending love and warmth to all our friends and family in 2018! Thanks for reading!